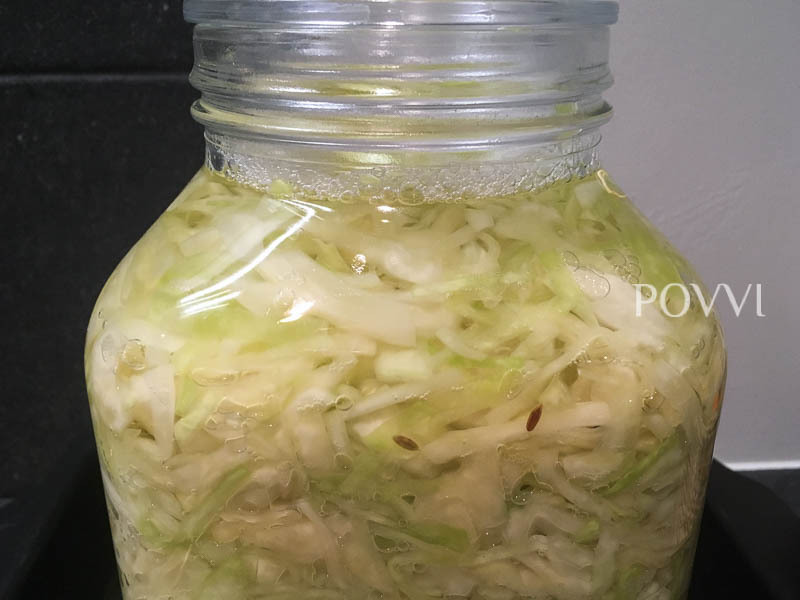 To buy here in Belgium a quality, tasty, fermented cabbage with no preservatives is a huge problem. What you can buy on the market is either a German product with wine, which is really tasteless or or pre-preserved, but very little sourish Polish products. That’s why I decided to make it this year myself. 2 koolkroppen (ongeveer 2,5 kg), GEEN PUNTIGE! 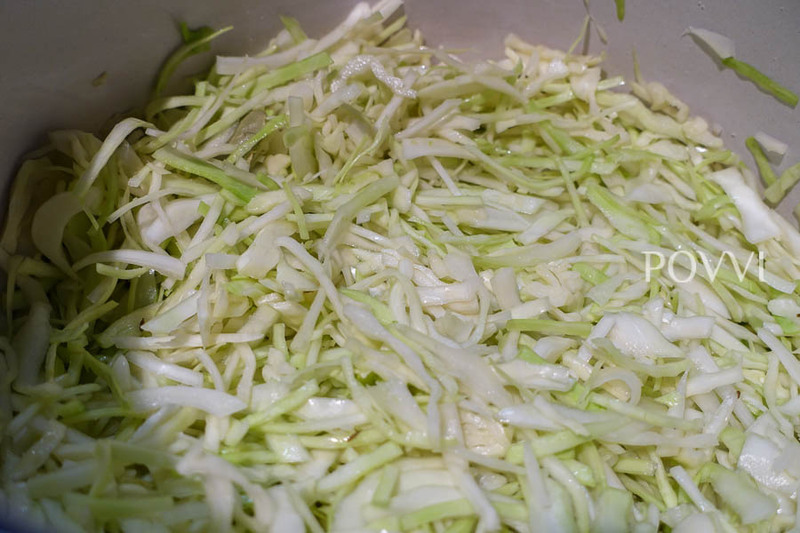 Cut the cabbage with a knife or mandolin and put it in a bowl. 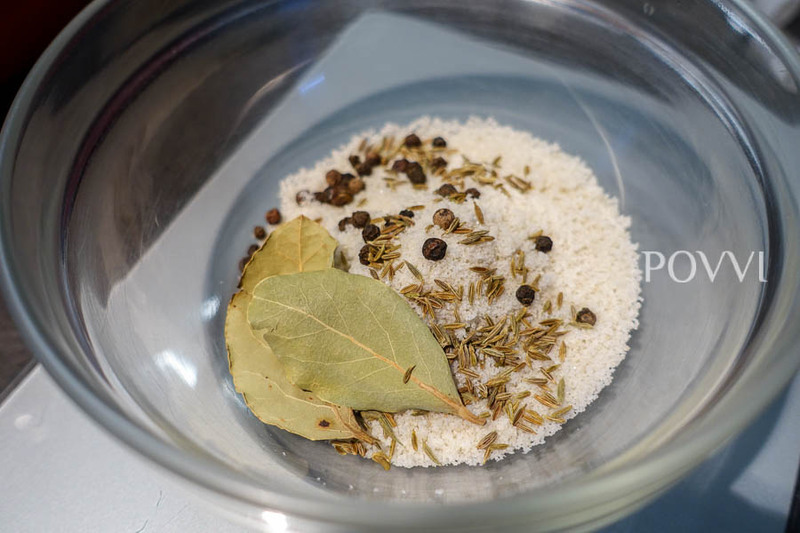 Mix it with salt, spices and cumin and leave for 2-3 hours to rest. Then she starts pushing it into clean cups – in my case a big one. Each layer must be carefully but firmly pressed out of all power. Fill the glass so that it is about 3 cm from the top of the glass. 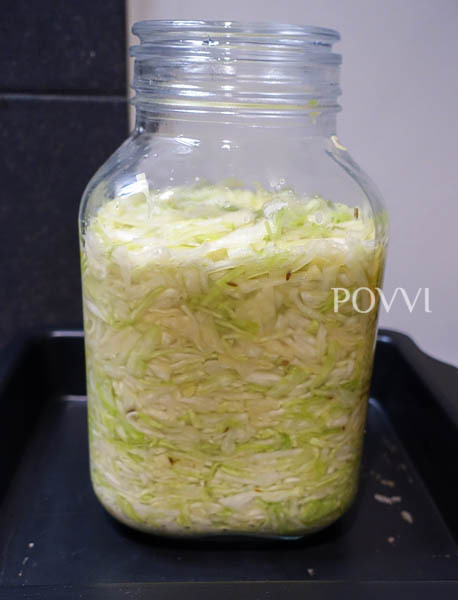 If the cabbage is dry and losses little juice, add little boiled, salted and chilled water. After compression, the cup closes (with the no screw lids) and the cups of the figures on a tray of heat. 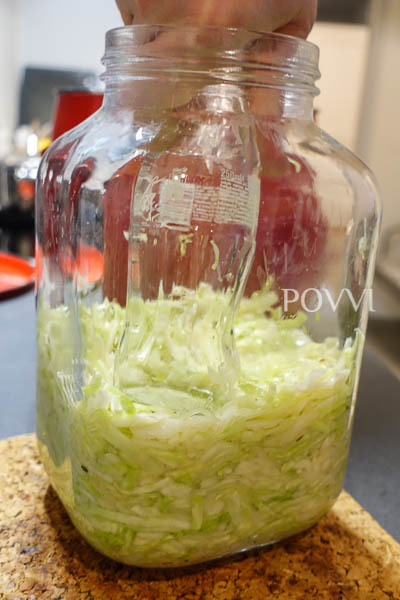 My ferments on the kitchen. 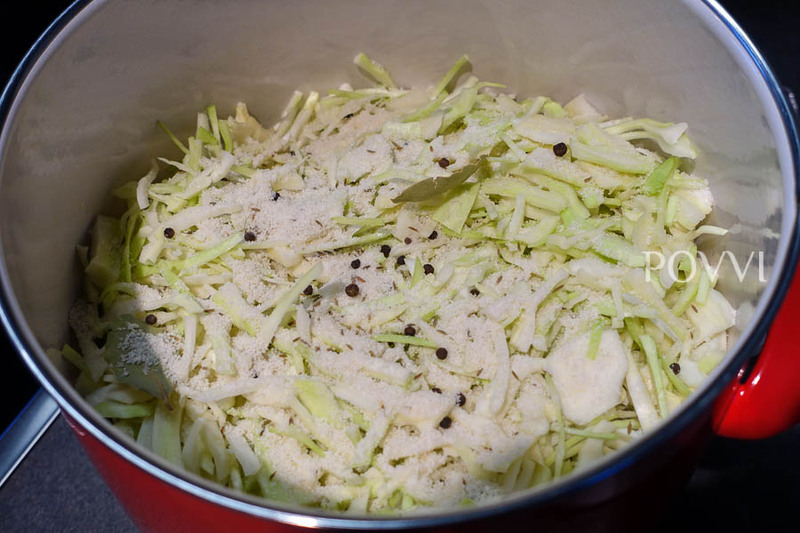 The cabbage begins to ferment in the cups almost immediately – the eyelids begin to swell. Do not stress, because in about 2 weeks you notice that they are back to their original position. 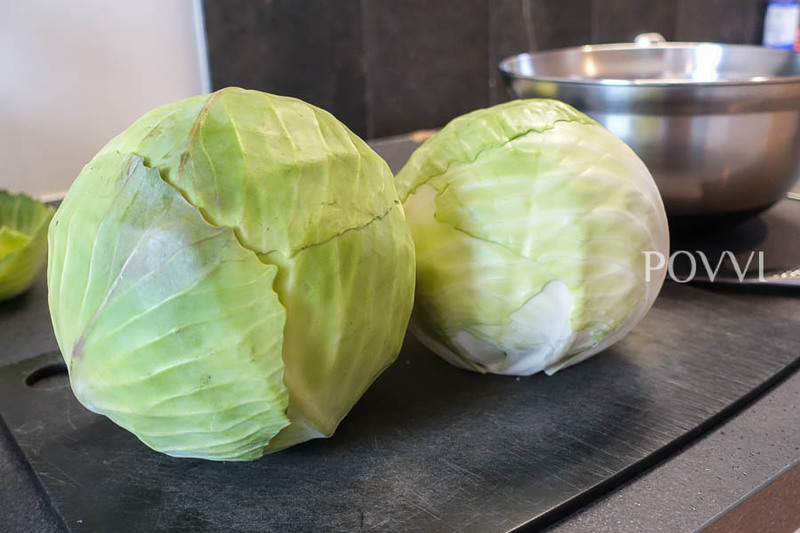 This means that the cabbage is dripping. At the same time, juice can start to flow out of the cups – that’s also not a problem. Then it is only to take the cups to the cellar. This way you can load both white and red cabbage and she keeps her color. 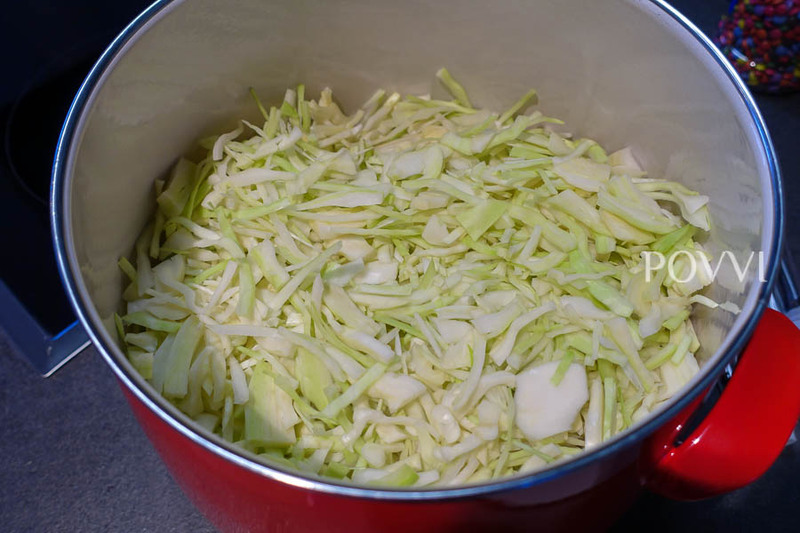 Sour Cabbage Soup → atď.